Why is Indonesia on fire, and what can you do to help? INDONESIA is going up in smoke. The massive island nation, home to 255 million people and nearly 50,000 species, has been smoldering since June amidst a wildfire crisis. Across the country, 115,000 active fires have consumed an area the size of New Jersey, producing a heavy blanket of toxic smog that has extended beyond Indonesia to Singapore and Malaysia. The result is one of the worst environmental and humanitarian disasters of the 21st century. A map of active fires in Indonesia as of September, as well as satellite imagery of the thick Southeast Asian haze, with fires outlined in red. Photo credit: The Malaysian Insider, NASA. Toxic haze has altered daily life across the region. Hazardous pollution levels have led to widespread school closures, cancelled events, and declarations of emergency in several Indonesian provinces. An estimated 500,000 Indonesians have reported instances of respiratory illness since July. Haze has hampered aviation, maritime commerce, and tourism, creating negative ripple effects throughout the entire Indonesian economy. Mitigation costs for the entire disaster are expected to exceed USD$33 billion. The scale of devastation faced by wildlife and rainforest ecosystems is not yet known. One of biggest biodiversity hotspots in the world, Indonesia’s lush forests are home to orangutans, elephants, tigers, komodo dragons, rhinos, and hundreds of endemic bird species. Deforestation has already pushed many vulnerable species to the brink of extinction across the region, and the current crisis is expected to worsen the outlook for many more. The most astounding, and perhaps the most surprising, impact of the fire crisis is its immense contribution to climate change. Since September, fires in Indonesia have released more greenhouse gasses each day than the entire United States, a nation with an economy 20 times the size of Indonesia’s. That’s a total of 1.6 billion tons of CO2, released not from cars or trains or planes but from smoldering rainforests. Indonesia has promised to cut its greenhouse gas emission by 29% by 2030. But after leapfrogging Russia and to become the world’s fourth largest carbon emitter in just a few months, that goal may prove exceedingly difficult to achieve. Lowland forested swamps called peat swamps, as well as tropical rainforests, cover much of Indonesia and store huge amounts of carbon, even compared to other forests. When these ecosystems burn, they release carbon dioxide, methane, and toxic chemicals into the atmosphere. Source: World Resource Institute, VU University, Bloomberg. Why is Indonesia on Fire? The historic wildfire crisis in Indonesia is indeed an environmental disaster, but it is also a man-made problem. Small-scale farmers and large-scale corporations deliberately and illegally lit many of the fires currently raging across the country. The reason? A handful of palm kernels, which are pressed to extract palm oil. Photo credit: Phys.org. To clear land for palm oil plantations. Palm oil is the most widely used vegetable oil worldwide, found in nearly 50% of all consumer goods from chips and cookies to soap, lipstick, and biofuels. 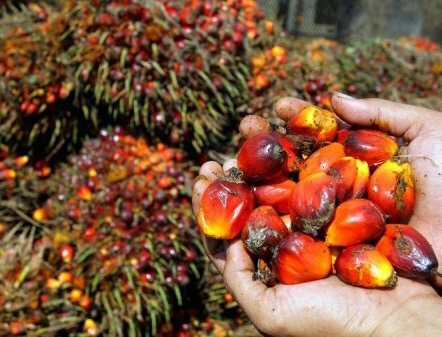 While palm oil cultivation originated in Western African, 85% of the global crop is now grown in Malaysia and Indonesia. To make way for palm oil plantations, farmers across Indonesia often clear old growth rainforest and lowland peat swamps by setting forests alight. The technique is called slash and burn clearing, and while it is relatively quick and cheap, the fires release copious amounts of CO2 and can easily spiral out of control. Neat rows of palm oil trees in the foreground contrast with the primary rainforest in the background. Demand for palm oil fuels rampant slash and burn clearing in Indonesia, which has the highest deforestation rate in the world. Photo credit: The Breakthrough Institute. Slash and burn clearing of the rainforest is nothing new. Every year, thousands of fires are lit to clear land across Indonesia. But with choking smog crippling the region and thousands of hectares going up in smoke, the current fire crisis stands out as an anomaly. Why have this year’s fires spiraled out of control? The culprit is likely this year’s climate wild card: El Niño. The last time Indonesia choked under a blanket of smog was back in 1997, when rainforests across the country burned at the same massive scale as today. The 1997 Indonesian fires were among the largest in recorded history, and damages exceeded $US4.4 billion. The scope and damage from the current fires are expected to match or exceed the 1997 event. El Nino has varied effects on climate around the world. For Southeast Asia, it brings warmer and drier conditions than normal. Photo credit: NOAA. Both 1997 and 2015 have seen record breaking El Niños, a climate phenomenon that alters weather patterns across the globe. For Indonesia, El Niño means dryer than average conditions. Rain is a crucial check to the fires caused by slash and burn clearing. Without it, vegetation dense ecosystems such as peat bogs can become highly flammable, and may smolder for weeks after being lit. Firefighters are attempting to douse blazes across Indonesia, but due to the immense scale of the crisis, relief is dependent on the soaking rains of the wet season. Thankfully, the first substantial rain in months arrived last week, clearing the air substantially and offering the region some space to breathe. But with the current El Niño expected to disrupt weather patterns well into 2016, the end of the crisis may be a ways off. For a blog focused on conservation success stories, coverage of an environmental crisis may seem out of place. But don’t get discouraged by the doom and gloom. You have the power to turn this issue into a success story. From assisting fire detection efforts to cutting off demand for palm oil at its source, here are three ways that you can improve the situation in Indonesia. In 2011, Indonesia banned further leasing of rainforest land for clearing and development. Thus, many of the fires raging across the country were illegally lit with the intention of clearing forested land. Normally, officials in the Indonesian government ignore illegal deforestation, but regional outrage over this year’s extreme air pollution has significantly increased the chance of legal action against offenders. Singapore in particular plans to prosecute corporations through the Transboundary Haze Pollution Act, action that would set a powerful precedent to discourage further illegal rainforest destruction. To pursue violators, authorities need specific evidence about the exact location of active fires and burn scars. Satellite imagery has emerged as the tool of choice, but with so many active fires and thousands of images to analyze, amassing the evidence will be a monumental task. Thankfully, you can help out: an initiative by the World Resources Institute and DigitalGlobe seeks to expedite the process using crowdsourcing. The interface acts a blend of Google Maps and Facebook, allowing users to scroll through satellite imagery of palm plantations and rainforests to tag suspected fires or burn scars. Click here to check it out. Users tag suspected fires (red) or burn scars (orange), which are confirmed by other users and investigators. For some images, where thick haze obscures a clear view of the ground, users can view infrared imagery to identify fires, which show up as red pixels. Photo Credit: Decker Aviation, Tomnod. Indonesia’s fire crisis is directly linked to expanding palm oil cultivation, which is influenced by consumer activity and demand. It would seem that responsible consumers should just give up palm oil, but that is easier said then done. Palm oil is found in roughly 50% of consumer goods, and may be masquerading under as many as 30 different names on a product’s ingredient list. 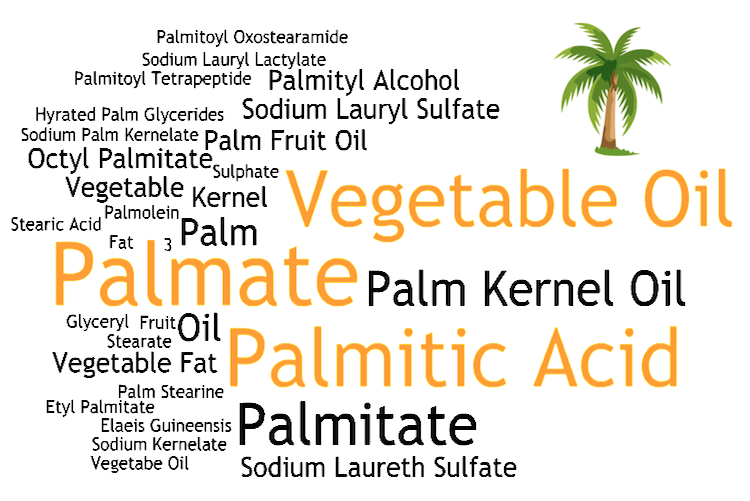 Click here for a pocket guide listing some of palm oil’s most common aliases. Take the guide with you to the supermarket and examine ingredient lists to get a better understanding of which products contain palm oil. Look for the RSPO label, which identifies products that contain sustainably produced palm oil. Go a step further and use your phone to inform your choices. For consumers in Australia and New Zealand, the POI barcode scanner app is an amazing guide that cuts through the labeling ambiguity surrounding palm oil. 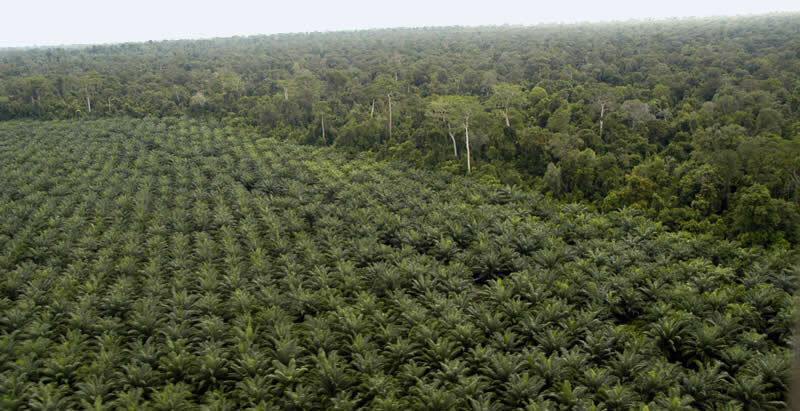 With the app, a simple barcode scan identifies whether or not a product contains palm oil and if that palm oil was sustainably sourced, as well as a list of sustainable alternative products. For the rest of the world, Cheyenne Zoo’s Palm Oil Shopping Guide app contains a comprehensive list of over 5,000 products organized into best, good, and needs improvement categories based on their palm oil credentials. Buycott is another barcode scanning app that can detect palm oil, although it is much broader in its focus. From left to right: The Palm Oil Initiative Barcode Scanner app, Cheyenne Zoo’s Palm Oil Shopping Guide app, the barcode scanner app Buycott, and the logo for RSPO, indicating sustainable production of palm oil. 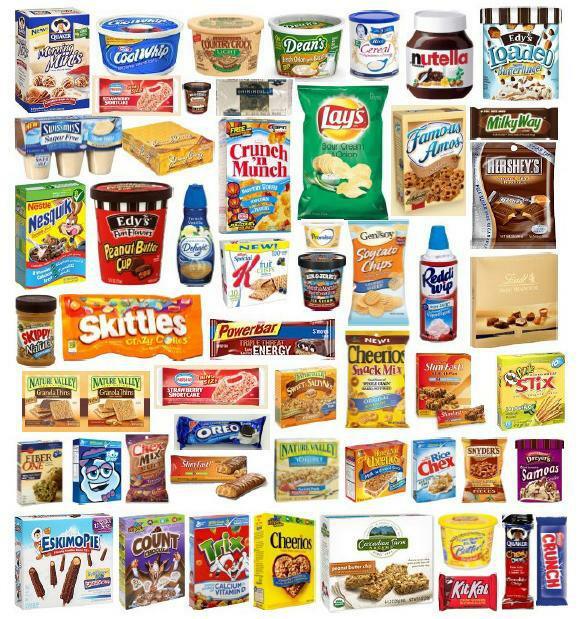 Snacks and processed foods have some of the highest percentages of palm oil by volume. A great first step to palm oil reduction, and a healthier lifestyle in general, is reducing your intake of processed foods. By cooking for yourself, you can control exactly what goes into your food! Photo credit: The Food Journey. If news of this crisis resonates with you, consider taking the 28-day palm oil challenge. Organized by the Say No to Palm Oil campaign, the challenge focuses on incrementally reducing your intake of palm oil over four weeks. The program is broken down into four household sectors (pantry, fridge, bathroom, and laundry), and each week of the challenge focuses on products from a single sector. Free video tutorials guide you along the way, offering useful information about palm oil cultivation, its environmental impacts, and how to reduce your consumption. By taking the steps listed above, you send a powerful message to palm oil producers, food companies, and those around you that uncontrolled slash and burn deforestation will not be tolerated. 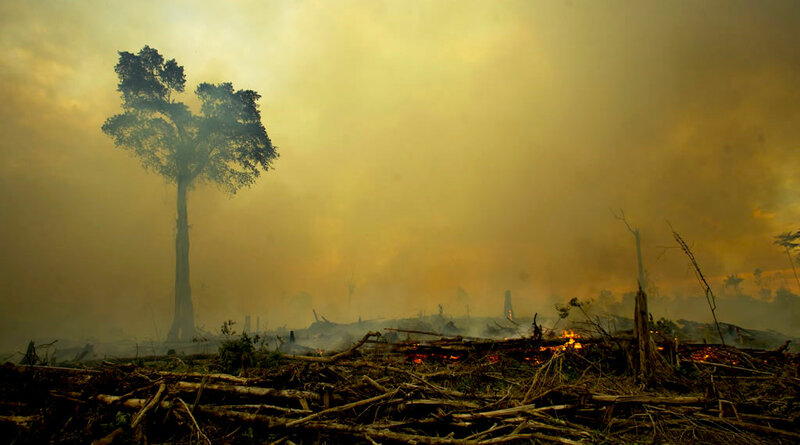 The people, animals, and rainforests of Indonesia deserve better; don’t let their future go up in smoke. WWF Interactive – What Everyday Products contain Palm Oil? Take the Palm Oil Challenge! Thanks for reading! It’s amazing more people haven’t heard about this issue, so please help to spread the word! This is a tragedy. We have to put a stop to this insanity! I only saw news about this a couple days ago. I was pretty horrified at America’s ability to completely ignore that which does not make us feel good about our way of life. Take Home Message: Slash and burn rainforest clearing for palm oil production combined with uncharacteristic drought have sparked a wildfire crisis in Indonesia. The fires have ramped up greenhouse gas emissions, produced a toxic cloud of smog, and worsened the existing deforestation crisis. By assisting in fire detection efforts online, shopping smarter with palm oil apps, and taking the 28 day palm oil pledge, you can help to change the dynamics of Indonesia's deforestation crisis.